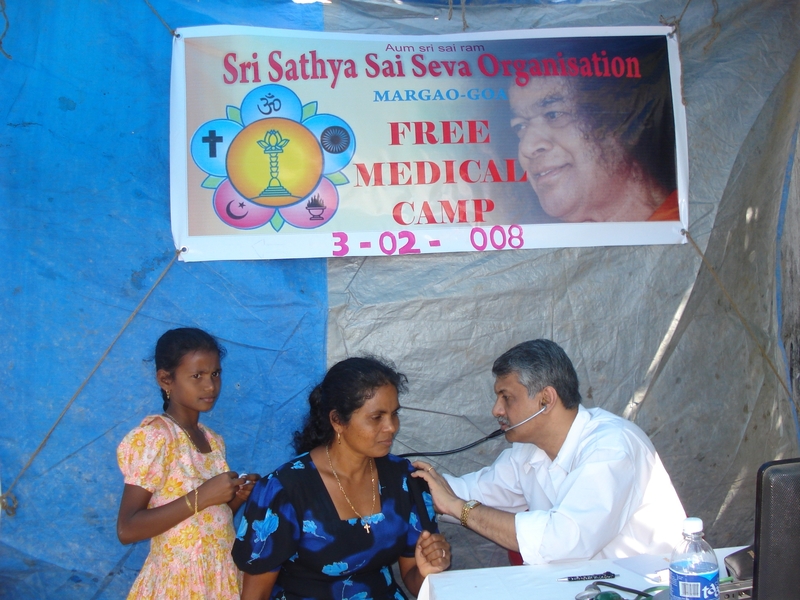 Hands that help are holier than the lips that pray’ these beautiful words of Swami seemed to come into reality in ‘Free medical camp’ conducted by Margao samiti in a small village of its own taluka. A locality compromising of mostly slums was selected. Four doctors, specialized in different streams with the aid of dozens of Sai youths successfully diagnosed 122 adult patients and 60 child patients. 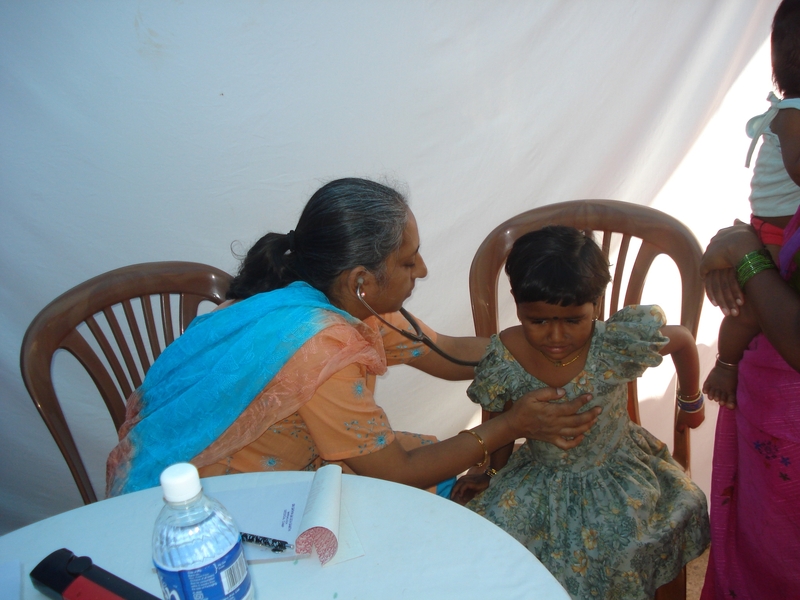 Medicines were given to them free of cost. In the meantime, Sai brothers joined hands to clean up a playground for school children. Other sai youths kept themselves busy in Narayan seva by serving food to over 200. Blessed souls! Excellent work been done by Sai Youth here and abroad. We are all very fortunate and blessed to have Sai our Lord with us. Carry on the good work. I would very much like to take part in future Medical Camps, I am an active member of Sai organisation and have conducted and taken part in many of Sai Medical camps overseas and in India, under the umberala of Sai Organisation UK. Please keep me posted via the above e mail. I have infact taken eraly retirement to live in India, presetly residing in Goa to carry out voluntary philanthropic work in Med field.